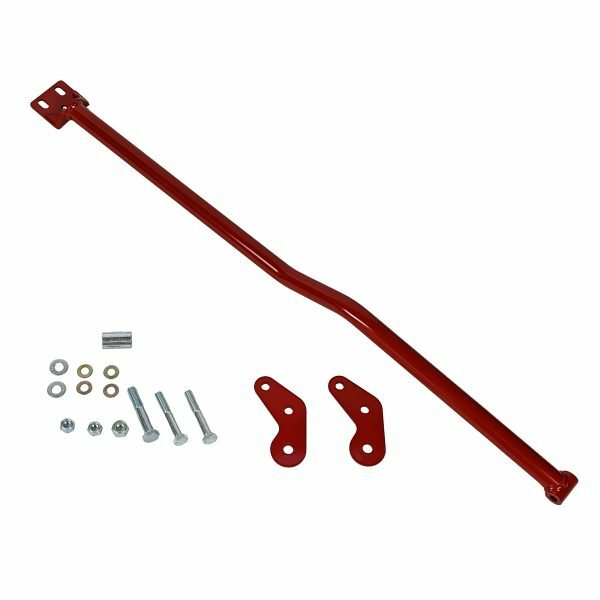 J&M Products Panhard Rod relocation kit replaces the upper panhard rod support while relocating the lower panhard bar. 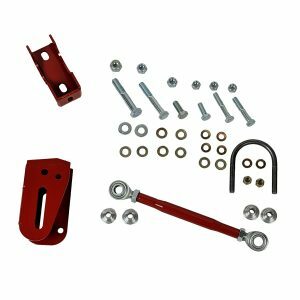 This relocation kit gives enough room to run up to a 3” true dual exhaust system over the passenger side axle. 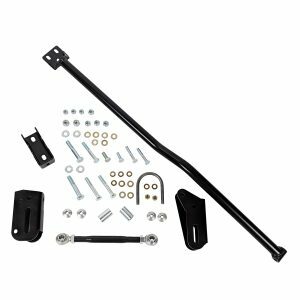 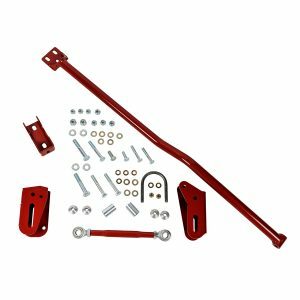 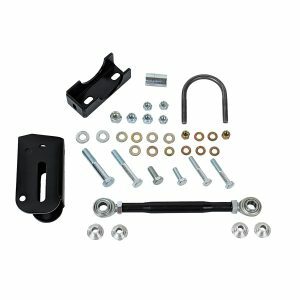 Kit comes complete with a new heavy duty upper panhard bar support made from 1.25″ x .120″ high strength DOM steel tubing, CNC laser cut mounting brackets and all new grade 10.9 hardware. 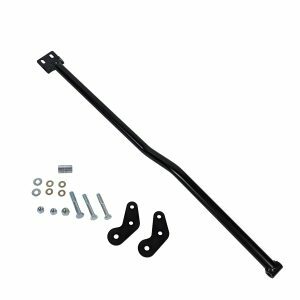 Our relocation kit will work with the factory panhard bar and all aftermarket panhard bars. 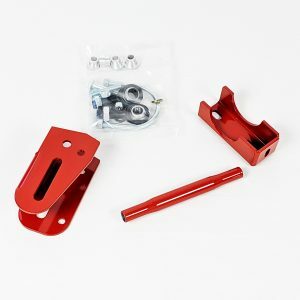 CNC Laser Cut Mounting Brackets Guarantees Precision Tolerances.